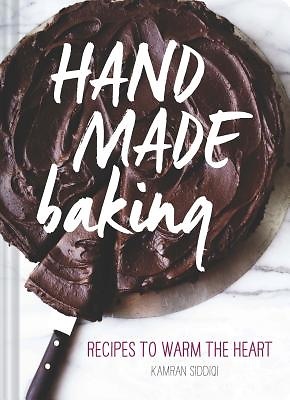 Kamran Siddiqi, the talented young blogger behind the Sophisticated Gourmet, delivers simple yet sophisticated recipes in his first book--a collection of more than 75 of his favorite homemade baked sweets. Designed to entice young bakers with his infectious passion for baking (and sugar in all its glorious forms), the pages are filled with classic favorites like Cream Scones and Chocolate Cake, as well as lesser-known indulgences such as Arabian Nights Baklava and Pistachio Polvorones. With his trademark clear-cut instructions and glorious photographs of each and every treat, Hand Made is perfect for aspiring home cooks with an eye for the elevated taste and beauty of all things hand made.